We will pick you up early in the morning after breakfast in hotel then join your Egyptologist guide to privately explore the 2 famous ancient Egyptian temples built on the honor of 2 importnat gods in Edfu & Kom Ombo. Explore Horus temple in Edfu, reachable with short horse carriage transfer to wander this temple devoted to king Horus which is considered the best conserved cult temple in Egypt. It is the site where god Horus revenged the assassination of his father Osiris by Seth. 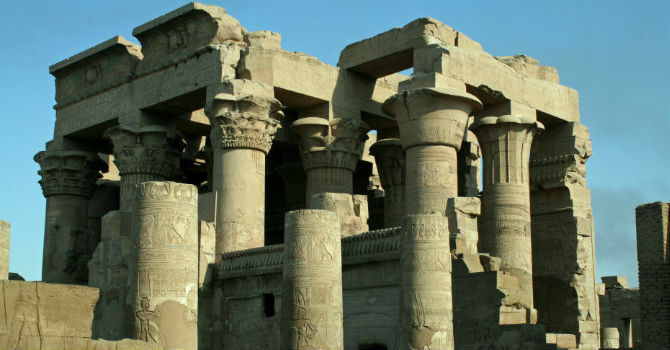 Continue to Kom Ombo temples that stands on high ground overlooking the River Nile, it is double entry temple, it was dedicated on the honor of 2 deities the crocodile headed Sobek & the ancient falcon headed Horus named Haroeris. The lunch meal will be taken during the trip then end the tour with the transfer back to your hotel in Luxor.